Commissioner Vestager is alleging that licensing prices for standard-essential patents are too high, and she would like them reduced. Nothing could be more important than having reliable support for her allegation. She did not provide this. The $120 figure, equivalent to a 30 percent aggregate royalty rate on a $400 phone, is wide of the mark. Nobody is paying anywhere near as much. Actual figures paid are, on average, less than one sixth that figure, at under $20 or below 5 percent of total handset costs. Her source is not cited. It is obvious to those who focus on smartphone licensing charges that she has plucked the figure from the much-criticized, here, and, here, “Smartphone Royalty Stack” paper by Intel and Wilmer Hale. Without her including any reference to help listeners and readers find the study or those who rebut it, folk might take the greatly-inflated figure at face value. The study is not recent and provides no fresh perspective. It was published two and a half years ago, in May 2014. It misrepresents the study’s findings. Commissioner Vestager has either ignorantly and unwittingly or sinisterly disregarded how the study cunningly characterizes this $120 figure. That figure does not represent what is actually paid in cash or recorded in financial or management accounts as licensing revenue or licensing expense. It is a notional cost that is not adjusted for what is netted-off in cross-licensing. The study is weasel worded: “setting aside off-sets such as ‘payments’ made in the form of cross-licenses and patent exhaustion arising from licensed sales by component suppliers, we estimate potential patent royalties in excess of $120 on a hypothetical $400 smartphone” (underling added for emphasis). This is flawed economics, as well as misleading and disingenuous. The study includes various additional systematic errors in its analysis including disregard for clear public evidence that much lower rates are being paid than those it includes in its calculations in most cases. 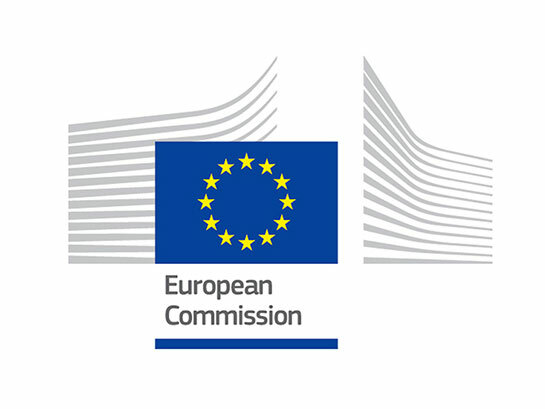 Despite seeking and receiving external inputs, the European Commission continues to ignore logical and facts-based assessments of aggregate royalty rates that are in marked disagreement with the study by Intel and Wilmer Hale. 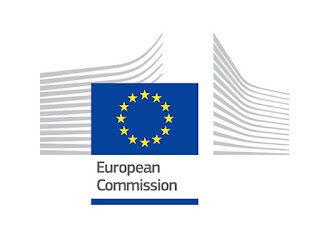 The Commission’s DG GROW ran a consultation on patents and standards commencing 2014. My initial estimate of 5 percent aggregate mobile phone royalties was included in my submission to that consultation in February 2015 (pages 21-22). That finding has been reinforced in my subsequent publications and validated by other reputable experts. The recent US presidential election and Brexit referendum campaigns were significantly blighted by use of defective or highly misleading “facts” and figures. This “post-truth politics” tactic is nothing new or unique to those seeking votes. It is particularly troubling that public officials are also so inclined to unquestioningly adopt certain figures and ignore others solely based on what supports policy positions, popular beliefs or prejudices, and with disregard for scientific and evidentiary principles in quantitative research. My extensive analysis shows the Smartphone Royalty Stack paper’s 30 percent royalty rate was defective. In IP Finance, here, in September 2014, I explained how this study was flawed, and, here, in August 2015, I showed in detailed analysis that average aggregate royalty payments were at most around 5 percent and were probably substantially less on mobile phones overall, including smartphones that dominate that product category. The faulty “royalty-stacking” theory upon which this paper by Intel and Wilmer Hale is based, has also been debunked by others. Adding up all the licensors’ listed maximum royalty rates does not provide a suitable indication of royalty costs, let alone an accurate measure of what is actually being paid in licensing fees. Two separate eminent academic authorities in economics, Criterion Economics and the Hoover Institution, have validated the methodology in my 2015 article in their recent publications since mid-2016. Both studies calculate the majority of royalties in exactly the same way as I have and are broadly in agreement with the results I derived by “following the money,” as authors of the latter study, Haber, Galetovic and Zaretzki, characterise it. They also agree with me that only net royalty payments, after cross-licensing, should be included in aggregate royalty amounts and rates. Gregory Sidak of Criterion Economics independently checked my assessments and compared these with his own, step-by-step. These studies find that aggregate royalties are approximately 3.3 percent (Hoover Institution) and 4.5 percent (Criterion Economics). Some elements in my 2015 paper were extremely conservative. For example, whereas I used the asking prices of LTE patent pools to derive my estimate of annual royalty payments of less than $4bn (equivalent to 1 percent of aggregate royalties), I note that these pools still seem to have very few or no licensees, and so I conclude the actual figure was and remains much, much closer to zero than it is to $4bn. Whereas these two recent studies also show that aggregate royalties are conservatively in the “ballpark” of around 5 percent or less, rather than at 30 percent as estimated by Intel and Wilmer Hale, these two recent studies build on my work and seek to estimate the aggregate royalty rate with greater precision while also maintaining a conservatively-high bias in estimates. There are some differences among studies with respect to inclusion of non-mobile SEPs and non-SEPs, feature phones and tablets. These have only secondary effects on overall results and the aggregate percentages estimated. Other wildly-exaggerated and yet widely-quoted cost figures have included $83 billion in social costs and $29 billion in direct costs annually to patent infringement defendants for the alleged “patent troll” problem estimated by academics James Bessen and Michael Meuer in 2011 and 2012. Such figures were much contested for years and I, among others, was most critical of the adoption of such figures by public bodies including the White House in 2015. A 2016 study on Patent Assertion Entities by the US Federal Trade Commission presents much lower and far more reliable figures. It found study PAEs generating a total of only $4 billion in licensing over the six-year study period from 2009 to 2014. This is equivalent to less than $700 million per annum. Whereas the FTC study is not exhaustive in scope, it is nevertheless quite broad including 22 responding and 2,500 affiliated entities with 327 of these engaged in “active assertion behaviour” and it appears to have captured a large proportion of PAE licensing transactions. The more than forty-fold difference between annual totals based on extensive documented evidence submitted to the FTC and the estimates in these other studies is irreconcilable. Public officials should be more transparent about where the “facts” and figures they use to support their arguments and wishes come from. They should take the trouble to understand and not misrepresent their sources, even unwittingly. They should make the effort to consider opposing facts, figures and analyses. Some balance might help, but this should not be simply a case of reflecting differing or opposing positions without merit. Public authorities have a duty to find the truth of the matter with accurate and reliable figures, and present this in their public communications. Approximately correct might be fit for purpose and acceptable, whereas precisely wrong is no good at all. Scientific and evidentiary principles must apply. For a broader critique of Commissioner Vestager’s entire speech, with respect to the competition law and policy issues it raises, I recommend you read this this article by Trevor Soames.